When you think of big Spiders what is the first one that comes to mind? For many people it happens to be the Tarantula. This is one of the most common Spiders around that people have information about. It is also called the Baboon Spider in regions such as Africa. This is due to the hairy body that it displays. Such a look makes it simple to tell them apart from other species of Spiders. This a definitely a large Spider so it can be frightening when you see one. They can grow as big as 12 inches in length. The females are quite a big bigger than the males – they average 8 inches. Most of them are gray or brown in color and they have dark black stripes on the legs. This is one type of Spider that doesn’t spend time creating a web for capturing prey. As a result most people don’t realize that it does have the ability to make silk. They will line the burrows where they live with this type of material. It helps them to be able to gain access into it and out of it with ease. At the same time though any predators that may have gotten in there won’t be leaving so easily. 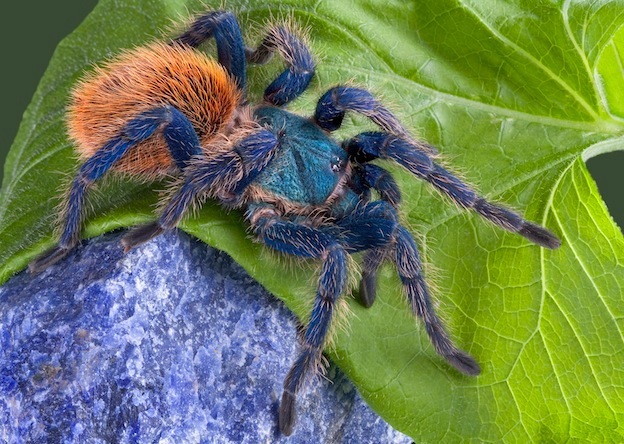 So why does the Tarantula have such a terrible reputation? It has to do with the stories that have circulated for centuries. Their dark sinister look is one that many people associate with evil. This is also one that is commonly known as a decorative form for the Halloween holiday. Even though the Tarantula is usually a timid Spider, they have been known to show signs of aggression. This is often when they feel backed into a corner by humans, they can’t see what is going on around them, or they are fighting other males for the right to mate with females. A common sign of aggression for this type of Spider is that they will have the front legs up in the air. They are one of the few species of Spiders that will hiss too in an effort to warn problems around them to go away. This is their defense mechanism in an effort not to have to fight. 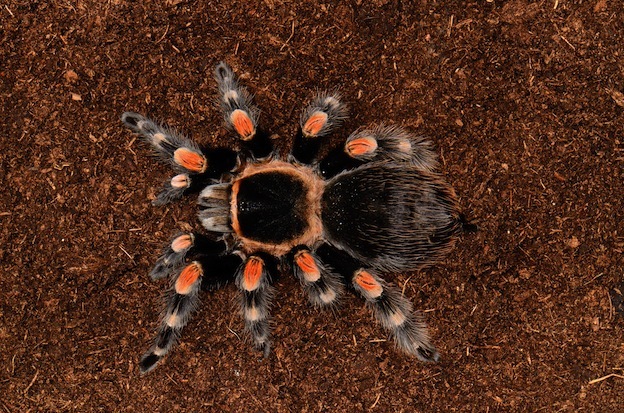 The name of the Tarantula comes from Italy where they were first seen, written about, and drawn. Today we know that they live in countries around the world. They love warmer climates and that is why they are also in Mexico and portions of the United States. The venom of those in the USA though isn’t believed to be as potent as that of those found in other countries. They are more often seen when the temperatures start to cool down. This is when they may be out during the day. It may seem like they are trying to soak up every last drop of sunlight that they are able to before it is gone. The amount of eggs that a female can create ranges up to 2,000 of them. When she has a sack of young she will become very aggressive. This is when she will fight for her survival as well a theirs. This is also a more common time for humans to get bitten by one of these Spiders. Even though there are different types of Tarantulas in the world all of them do have venom. Most of the time though it won’t be anything too dangerous for humans. Yet medical staff is trained for worst case scenarios to occur. Most of the time when a person is bit by one the area will swell slightly and be irritated. It can also be painful and that is when some over the counter medication may be necessary. It isn’t unusual for people to own this type of Spider as a pet. The thrill of owning something so exotic people just embrace. Yet it is very important to make sure you do get one of the species that isn’t going to cause you severe pain or health problems if it does happen to bite you. A Greenbottle blue tarantula – Chromatopelma cyaneopubescens – climbing over a rock. Should you be bit by a Tarantula you may want to have it looked at for precautionary measures. Where you are bitten will influence the type of treatment and care. The skin is commonly affected due to the hairs on their body. The area will be cleansed and then ice will be applied. This will slow down the inflammation level. If you aren’t current on the Tetanus immunization it may be given. Antihistamines are often given to help reduce itching and inflammation. The use of analgesics will also be given to take care of any pain. If you happen to get Tarantula hairs in the eyes it may be necessary to call in a specialist. They may have to numb the eye to restrict movement. Then small tools will have to be used to remove the hairs. A topical antibiotic can help to clear up the infection. Sometimes a bite will be close to a joint. When that happens stiffness in that area could occur for several weeks. However, it tends to slowly go away on its own over the passing of time. Sometimes steroids have to be given in order to help patients who have a weak immune system. The venom from a Tarantula can do damages internally for those that are weak. However, the decision to use such treatment will be handled on a case by case basis. A complete recovery can take as long several months in some cases.